CO2 adapters, co2 fittings, co2 hoses, co2 fill station parts, co2 accessories, co2 tanks, CO2 Regulator, soda water co2 adapters. Save money on refills, now you can use a large CO2 Tank in your unit, with an adapter fits most Home Soda makers, Home Seltzer water machines and more. At Trinity Supply, you will save on CO2 Hoses. Fittings and adapters are also available for purchase at an affordable low price point, giving you choices in your CO2 system without burning a hole in your pocket. 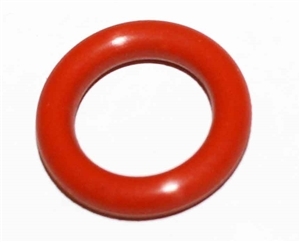 FDA Silicone O-ring For Soda Maker CO2 Fill Adapters. Stainless Steel CO2 Tank Adapter With 16OZ CO2 Tank For Soda Maker Beverage Machines. Stainless Steel CO2 Tank Adapter For Soda Maker. Stainless Steel CO2 Tank Adapter With 12OZ CO2 Tank For Soda Maker Machines. Stainless Steel CO2 Tank Adapter With 20OZ CO2 Tank For Soda Maker Beverage Machines. CGA-320 CO2 External Tank Coil System Adapter Fits Most Soda Maker Beverage Machines. CGA-320 CO2 External Tank adapter S/S Hose System Fits Most Soda Maker Beverage Machines. CO2 Dual Valve Fill Station Co2 Tank And Adapter For Soda Maker Beverage Machines. CGA-320 CO2 With On-Off Handle External Tank Coil System adapter Fits SODA Maker Beverage Machines.